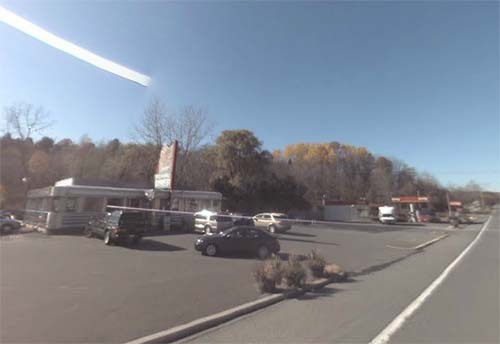 The West Taghkanic Diner is a diner near the Taconic Parkway, on Route 82, in Ancram, NY. Close to Lake Taghkanic State Park. 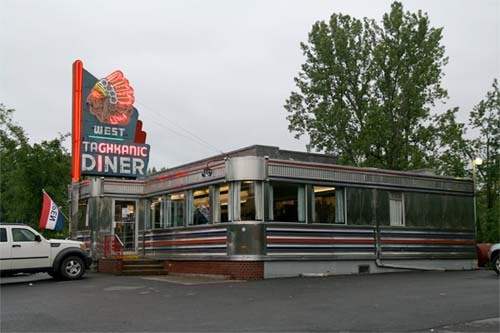 The West Taghkanic Diner is a classic all-original retro roadside landmark in operation since 1953, less than two hours north of Manhattan, NYC. in America during the boom years (1939 to 1957). The Taghkanic Diner has been in continuous operation now for half a century, managing to remain intact and very original, including its landmark neon indian chief. Lake Taghkanic State Park, nestled next to Lake Taghkanic in the rolling hills and lush forests of Columbia County, offers a wonderful variety of recreational activities. The park has tent and trailer campsites and cabin and cottage camping facilities. Large trucks, RVs and campers can enter from the Route 82 entrance. It also features two beaches, picnic areas, boat launch sites, rowboat, paddleboat and kayak rentals, playgrounds, sports playing fields, a rentable pavilion, and newly renovated recreation hall and showers. In addition, the park has hiking, biking, swimming, fishing, hunting, cross-country ski and snowmobile trails. Ice skating and ice fishing are permitted when conditions are appropriate. 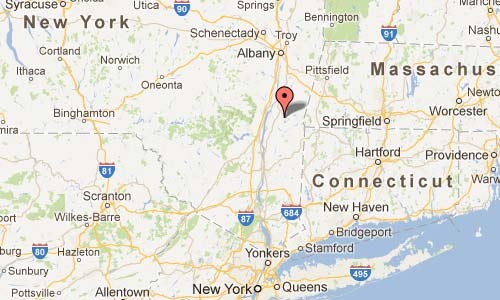 More information on www.taghkanicdiner.com and nysparks.com.